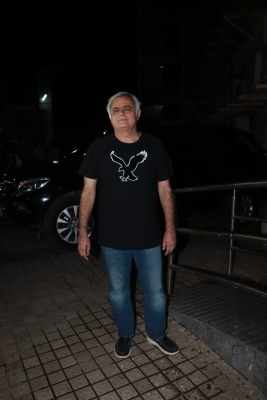 Mumbai Sep 16 (IANS) As "Simran" clocked one year of its release National Award-winning filmmaker Hansal Mehta celebrated the "bittersweet experience" of the movie s successes and failures. "Simran" starring Kangana Ranaut is about a girl named Praful a divorcee who loses her savings in a gambling bout. She takes a loan in order to repair the damage but when she is unable to repay it she finds herself drawn into a life of crime. "One year of a bittersweet experience whose successes failures and team must be celebrated. One year of Simran " Mehta tweeted on Saturday. Last year the film faced a lot of ups and downs as screenwriter Apurva Asrani had professed that Kangana who has been credited as the additional dialogue and story writer tried to discredit his work publicly by saying that she developed the story with Mehta from a one-line script.